A matt paint for interior walls and ceilings. Exceptional hiding and coverage, normally requiring just a single coat, makes this an exceptional value product. Non-chalky and can be washed. One of the highest hiding, whitest products available in South Africa. Products and Tinting: Brilliant White + tint bases available. **Note that the term "washable" refers to paint strength and water resistance i.e. the paint will not be damaged by normal washing. This does not imply stain resistance. A good quality first coat for interior cement plaster. 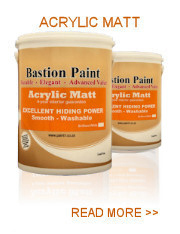 Combines strong bonding and exceptional hiding power with the benefits of using a water based acrylic. This product is not a bonding liquid and is not designed to prime surfaces other than interior cement plaster or concrete. The priming of gypsum plaster, scratch plaster and cement fibre are not recommended with this product. A budget first coat for interior cement plaster (lower cost than our Wall Primer). As far as Fillercoats go this is a product of exceptional quality; non-chalky and can be even be used as a washable top coat. 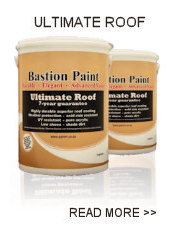 A premium quality, 7-year guaranteed roof paint that is suitable for most roofing materials. Specially formulated colours exhibit no colour fading. Sheen level approximately 18% assists to keep paint clean. Also ideal as a top coat on wooden picket fences and a non-chalking option for facia boards and window sills. Only the best non-fading colour pigments are used. These are limited to Red Oxide, Yellow Oxide, Chrome Green Oxide, Titanium Dioxide and Carbon Black. 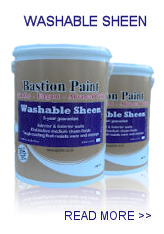 A Medium Sheen paint that is guaranteed for interior and exterior applications. This is a value for money sheen paint that allows the user to enjoy an elegant sheen finish and an easy to clean surface at an unbeatable price. 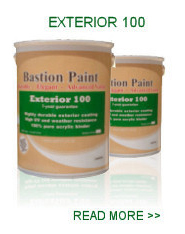 A premium quality stain resistant paint that is guaranteed for interior and exterior applications. This product has been specifically formulated to give a high degree of stain resistance which is normally only found in paints with significantly higher sheen levels. The stain resistance makes cleaning of most household dirt easy. The smooth silky finish has a tasteful subtle sheen. Does not highlight minor surface imperfections as much as higher sheen paints. * Guarantee terms and conditions apply – see relevant page of our web site. 2 coats are required for exterior guarantee only. 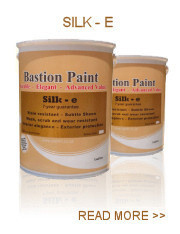 ** Such a high stain resistance in a product with medium sheen has been made possible by the use of pure acrylic binder, hydrophobic urethane additives, platy pigments which close the surface pores and a special additive unique to Bastion Paint. A premium quality low-medium sheen exterior paint that will normally last far in excess of 7 years. This product has it all including high UV and weather resistance, protection against mould and algae, scrub resistance and it is easily cleaned. * Guarantee terms and conditions apply - see relevant page of our web site. 2 coats are required for exterior guarantee. **The resistance to algae and fungi will last about 4 years in damp areas and much, much longer in dryer areas. Due to the huge variety in conditions this period cannot be guaranteed. 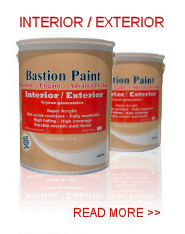 A stain resistant interior wall paint with a distinctive sheen finish and a 7-year guarantee. Excellent hiding and coverage for a paint with with this level of sheen. 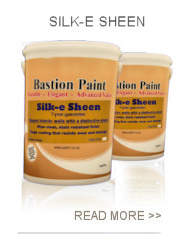 Lower cost sheen paints always suffer from poorer coverage. * Guarantee terms and conditions apply. ** The final sheen value of darker colours may differ but a true velvet sheen will always be visible. Kills all moulds and algae, inside and out. 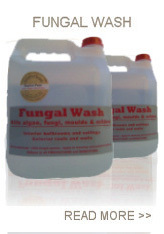 Provides 100% kill by destroying fungal spores. *Moulds and mildew are common forms of fungi that spread via tiny invisible spores. These occur inside and out. Algae is green and slimy and usually only grows on exterior surfaces. **Use on painted or unpainted surfaces. Follow Directions and Precautions on packaging. Apply a good Fungal Wash and leave for 24 hours or more then wash or wipe off. See application tips on packaging. 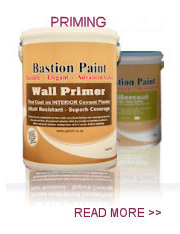 Paint over with a paint that is specifically designed to prevent growth of moulds. 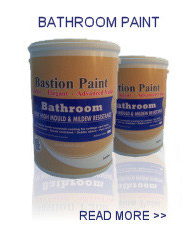 A premium quality stain resistant paint that prevents the growth of bathroom moulds and mildew. High water resistance, including urethane additives, for use in damp areas. * Moulds and Mildew are types of fungi that commonly tarnish bathroom interiors. Kill existing moulds with our Fungal Wash prior to painting. Adequate ventilation in bathrooms helps in the fight against moulds.